I can’t thank you enough Walter! "I just finished my first day of exercises on my own after Walter created a plan and helped me work through it yesterday. I am amazed at how great I feel already. After a fall last year that tore 2 ligaments and stretched another in one of my ankles I developed a ‘conditional gait’ from the long healing process. The orthopedic surgeon I went to was hesitant to prescribe anything other than pain medication and muscle relaxers because I’ve had 2 lumbar disk and 1 SI joint fusion. 2 days of posture therapy exercises and I already feel better than I have in over a year! It was just the motivation I needed to get up a little earlier, work through my exercises and start my day pain free." – Autumn B.
I couldn't believe that nobody touched me and the pain was gone!!!! "I went to have a session with Walter for my posture. I went in with pain in my neck and left shoulder. I woke up like that. Usually takes ibuprofen and 3 days for the pain to go away. So, I told Walter, he saw what was going on. He observed, analyzed and gave me a set of exercises. At the end of the session the pain WAS GONE. Just by aligning the body!!! No drugs, no more PAIN! Thank you Walter! Your expertise made me pain free. RLE is a solution for life. RLE treats the cause of the problem. AMAZING.!!!" – Claudia K.
Bobby is a highly skilled professional. "He has a comprehensive understanding of the the body and works intuitively. I appreciate the 14 years of GREAT body work and highly recommend him." – Barry R.
After just a few weeks, I could walk without pain, and was soon back on the beach. "A man devoted to the well being of his clients who applies a variety of professional knowledge and deeply intuitive skills. Very good natured and meticulously clean and appropriate. Bobby has provided care to me for a number of years(14) and I could not recommend him more highly." "They even invited me and my wife to the weekly "Walk in the Park"! A Big Yes is my Rating and I will be there for the Saturday walk as well!" "When I am in South Florida and have taken some mis-step at the gym or turned the wrong way in a yoga class, Bobby has been there. He knows the workings of the human body and the inner-related workings of the muscles and connective tissue. This knowledge has always allowed him to make me feel 100% better when I walk out the door. The ingredients of a good masseur to me are Respect, Knowledge, Dedication and the ability to make one feel at Ease. Bobby does all of those." "I went swimming Tuesday and Wednesday I woke up pretty sore (back and shoulders). I called, they made time for me and I got the "Deep Tissue Massage" and was even taught some neat therapeutic exercises to do at home. I recommend this place for several reasons: like the personable and highly skilled staff. Gotta go! . . . time for another swim, LOL." "Bobby is passionate about massage therapy and living a healthy lifestyle. This is evident as a client and his professionalism is notable within the industry. I haven't been to the new facility yet but, since it is the culmination of over a decade in this industry and a professional partnership with an exercise therapist, I am sure it is a testament to their skills and concern for their clients overall health and satisfaction as customers." 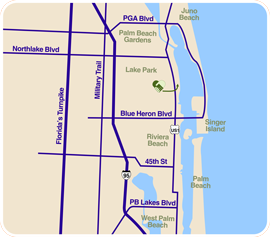 "I live in Lake Worth so it's out of my way, but worth the drive! Bobby is fantastic with his knowledge of massage therapy. He has various techniques – and combine that with aromatherapy and general health and wellness and I always get a great massage. But the real difference is that they don't ONLY do massage. Working with Walter with exercise therapy to get exercises I can do at home to correct the problems helps work on me as a whole person. RLE Massage Therapy is amazing. AND they accept insurance, which is awesome!" "RLE Massage has some of the best physical therapists I have encounted in 60 years of using massages to relax or to eliminate pains and aches. Their knowledge of anatomy and the ability to manipulate muscles is extraordinary." This was my very best massage ever, and it was truly a glorious experience! "Robert is positive, professional, and is skilled at giving amazing massages! He gave me a swedish/neuro massage, and kneaded out every knot in my shoulders, back, and hip area." "They are incredibly professional and knowledgable about many different techniques in massage and the healing arts in a variety of modalities. Not only does Bobby know exactly what kind of massage to use, but Walter helps to give specific exercise therapies to use between massages. I just love them!" "Some people just know exactly where the trigger points are and just how hard to press, I call that Healing Hands!" "Everyone was so professional, the facility was so nice and clean. I am looking forward to my next appt. with Bobby . . ."
"Robert from RLE Massage Therapy is so SKILLED, he even showed me some ways to help my energy balance . . . Thumbs Up!"